L to R > Anousheh Ansari, X-PRIZE; Konstantina Rappou, Technical Director Camper & Nicholsons Marinas; Minister for National Development Planning/Head of the National Development Planning Board (Bappenas) Bambang Brodjonegoro; Adi Neuman + Hugo Shelley + Charly Karamanian of Team 1; Cherie Nursalim, Vice Chairman GITI; Elena Crete, Manager UNSDSN; Anna Miles of Team 2; I Gede Ardhika, President Director of Kura Kura Island. Kura Kura Bali is pleased to share with the HeroX community the winners of the Coastal Design Challenge Final Prize: Team 1 Adi Neuman (ECOncrete), Hugo Shelley (Iota technologies) and Charly Karamanian (BioInspired Argentina). The announcement was made on 9 October 2018 during the welcoming dinner organized as part for the second Tri Hita Karana Forum, 10-11 October 2018, in Bali. Congratulations to Team 1 for winning the Grand Prize US$ 25,000 and special thanks to Anna Miles ( Team 2) for her hard work and commitment. The winning solution bridges the gap between development and sustainability by providing a robust coastal defense solution reviving ecology while inviting and connecting local communities to the shoreline. The seawall embraces the water, facilitating public engagement with the marine ecosystem and provides enhanced physical and visual access to the bay. The design represents an environmentally sensitive solution that meets coastal defense needs, while upholding the commitment to sustain and enhance coastal resources. Please stay tuned as we will post more exciting updates on the two team’s journey in Bali. TEAM 1 > Adi Neuman from ECOncrete along with Hugo Shelley and the Bionspired Argentina duo, Charly Karamanian and Alejandro Bollano, are a testimony to the strength of open innovation through team work. TEAM 2 > Anna Miles and Mario Valente during a work session unlocking sustainable sea wall edge treatment. We look forward to welcome both teams to Kura Kura Bali. We are proud to announce details on the two teams who have advanced into the PROTOTYPE FINAL STAGE of the Island of Happiness Coastal Design Competition. Among the competing teams are marine engineers, landscape architects, top- tier innovative companies, and startups-all who are working toward breakthrough in the seawall design. The two winning teams are one step closer in having the prototype development of the ecological sea wall ready. Both teams comprises professionals with a passion for environmentally friendly solutions to sea wall designs. Team 1 has three industry professionals Adi Neuman ECOncrete (Israel), Hugo Shelley (UK) and BioInspired Argentina duo: Alejandro Bollano and Charly Karamanian. Team 2 has a landscape engineer and civil engineer, both from UAE and Power Cem Technologies a company from The Netherlands that specializes in sustainable materials. We look forward to their groundbreaking solutions and the journey ahead. The team got its start in March this year, when the ideation phase of the Coastal Design Challenge was announced. Adi Neuman from ECOncrete along with Hugo Shelley and the Bionspired Argentinian duo Charly Karamanian and Alejandro Bollano together have a diverse background and expertise in different industries. Adi Neuman is the Designer & Project Coordinator of ECOncrete, a company that develops, produces and supports implementation of innovative concrete products designed for enhancing the biological and ecological value of coastal and marine infrastructure. Adi is an industrial designer with over 7 years of experience in large scale design projects in the public domain. In the past 5 years, Adi has worked on the design and implementation of environmentally-friendly marine and coastal infrastructure, adapting mass manufacturing processes to specific biological and ecological needs. Adi is a lecturer at the Industrial Design bachelor’s program at the Holon Institute of Technology. Adi holds a B.Des. in Industrial Design from Hadassah College Jerusalem and a Masters degree in Environmental Studies from Tel-Aviv University. Originally from Scotland, Hugo studied Physics and Philosophy at Oxford University and Kings College London. He completed his postgraduate at St Andrews and is the recipient of a NESTA award for creative entrepreneurship. After leaving university he worked as a prop designer for some of the world’s leading illusionists before founding Iota Technology, a design and prototyping company in London. Since then he has worked on a diverse range of projects, from industrial sensors to educational robots for children. He is especially interested in the application of new technology to ecological and humanitarian challenges. Charly Karamanian is the Director of Entrepreneurship at Buenos Aires Province Government, Argentina. Charly is Certified Public Accountant with a master in communications management and information technologies. Charly is a post-graduate degree in Innovation Strategies and Technology foresight. 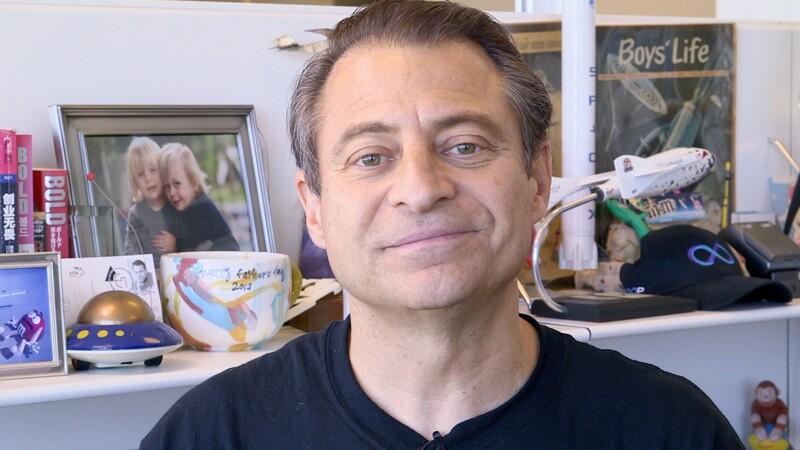 Member of the first cohort of The Exponential Foundation Series at Singularity University. His expertise is focused in open innovation, positive impact business development and sustainability. He excels in leading and mentoring of individuals and multidisciplinary teams. Creative thinker, serial entrepreneur and speaker. Finding simple solutions to complex challenges is his drive in life. He is passionate about solving the global grand challenges: energy, environment, food, shelter, space, water, disaster resilience, governance, health, learning, prosperity & security. Alejandro Bollano is an industrial designer who graduated from the Facultad de Arquitectura Diseño y Urbanismo (F.A.D.U.) of the Universidad de Buenos Aires (U.B.A.) – 2008. Alejandro is an entrepreneur, passionate about innovation and evolution. Understanding the problems deeply, approach them with solid concepts and delving into the details, are his premises for the search for innovation and value. Together with Charly Karamanian he formed BIO Inspired, a strategic innovation and research team. They apply biomimicry as a disruptive tool to approach responsible solutions with the environment. Alejandro is associated with several companies, startups and independent researchers in the strategic planning of projects of high innovative impact (social, economic and environmental) with the aim of creating the most diverse R + D + i services network on the region. He worked for the Undersecretary of Innovation and Smart City of the Gobierno de la Ciudad de Buenos Aires as a project manager in the development of predictive solutions and connectivity. With combined experience in civil engineering, landscape architecture and environmental solutions in construction materials, Team 2 has joined forces to push the innovation towards a concept that will provide a truly ecological sea wall prototype. Professionally, Anna Miles is a Chartered Landscape Architect specializing in public realm and landscape design for urban, commercial and residential projects of all sizes around the world. She improves outdoor environments through creative and sustainable design solutions to design briefs; or establishes the project brief and vision based on the parameters and problems of different project sites and different stakeholder requirements. Personally, Anna is a fierce and (mostly) fearless globe trotter and passionate wildlife photographer who needs to be outdoors. She has a passion for self-development by experiencing the unknown, confronting unforeseen challenges, getting to know unfamiliar cultures and ways of life, getting lost in wilderness; and creating memories from travel. In addition to being a UK Chartered professional, Anna holds a BSc in Landscape Design and Ecology from Sheffield University in the UK; has over 16 years of experience in the field of landscape design, planning, management and urban design; and is a trained Pilates instructor. Mario Valente is a Civil Engineer with 17 years of experience. As a Projects Director based in the Middle East for the past 10 years, Mario has developed a broad understanding of multiple engineering disciplines specializing in engineering and design management of coastal development projects from feasibility stage up to construction. PowerCem Technologies (PCT) is a company that specializes the modification of cement bound materials and as such participates in complex projects worldwide as an invisible but technical key component in cement based materials and constructions. PowerCem Technologies was established in 1996 an is situated in Moerdijk near the port of Rotterdam in The Netherlands. The company has executed successful projects in more than 40 countries, and has proven its ability to provide for infrastructural constructions and environmental solutions that are in line with the demands of the 21st century, with continuous scientific exploration for the future. The company is an expert in sustainable and economic in-situ soil stabilizations for road infrastructure, ports, storage- parking areas, container terminals, windmill parks etc., and immobilization of (severely) contaminated soils so these do not constitute any danger anymore for the environment and population. Welcome to the Island of Happiness Challenge, a global competition inviting creators and innovators from around the world to partake in the unique eco-development of Kura Kura Bali, a project premised on the concept of Tri Hita Karana for sustainable development and happiness. The Balinese believe in “Tri Hita Karana” or the Three Ways to Happiness through the harmony of people with people, people with nature and people with the spiritual. “United in Diversity” has aligned the United Nations’ 17 Sustainable Development Goals around the three harmonies in an elegant SDG Pyramid launched at the United Nations on the UN Day of Happiness. The first challenge launched through the Hero X platform is the Coastal Design Competition, and it will be followed by a series of sustainability initiatives planned for the Kura Kura Bali Island of Happiness. The Costal Design Competition seeks sustainable, original and mold-breaking designs for sea edge treatments. 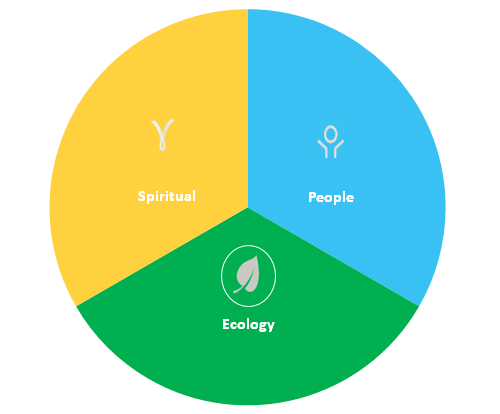 The search for harmony between people and their environment is timeless, but our successes have traditionally come with a negative impact on the environment. Seawalls have been no exception to this legacy, but their function of protection from storms and erosion remains a vital need. That’s why Kura Kura Bali Island of Happiness is looking to bridge the gap in sustainable seawalls, and that’s where we need new innovative designs. There has yet to exist a treatment for the sea edge that is sustainably designed without sacrificing an elegant aesthetic. We’re looking to you to propose a new kind of sea edge treatment that can be created first for the Island of Happiness. This may become the new standard for sea edge treatments in the rest of Indonesian archipelago in collaboration with the United Nations global initiative Sustainable Development Solutions Network and the Indonesian Coordinating Ministry of Maritime Affairs, that are invited to take part in the judging process. There will also be great visibility globally for this competition. Submission closed on January 18, 2018. Mr. Potts has recently joined BTID as Senior Vice President. Mr. Potts has a mechanical engineering background and previously worked for Shimizu for 24 years. Mr. Potts has worked in Hong Kong, Vietnam and the U.S.A. working on multiple large scale projects. He has been assigned to Vice President Construction since 2013. Prior to that Mr. Potts held positions as General Manager of construction and as Project manager. Mr. Potts is responsible for the overall management of the Engineering and construction division of Bali Turtle Island Development and other group projects. KEY PROJECTS Giti Tire - Project Director Construction of a 1,600,000 sf tire manufacturing facility in Richburg, SC. The project was a hybrid design and build fast track scheduled to complete in 13 months. TICA - Project Manager Construction of a 636,000 sf. automotive compressor facility in Pendergrass, Georgia. Project was a design and build fast track completed in 11 months. TACG - Project Manager The building is 350,000 sf. in area and sits on 150 acres of land. The plant makes high-end variable displacement air conditioning compressors for the automotive industry. Toyota Mississippi - Project Manager Construction of a 505,000 sf. manufacturing facility in Guntown, Mississippi. The project consisted of 4 principal manufacturing buildings, an office building and a waste water treatment building. The project also included various pits, tunnels and heavy equipment foundations. Project delivery method: Design Build (fast track) 3 Smart grids and development of Zero Net Energy Buildings Mr. Potts Led a team to develop 3 smart grid projects for the New Energy Development Organization of Japan (NEDO) 2 of the projects were in Albuquerque NM, Los Alamos NM and at the state university of New York (SUNY). They were collaborative research projects between the Govt of Japan and UNM and SUNY. 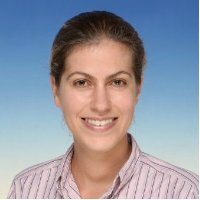 Konstantina is the Technical Director of the Camper & Nicholsons Marinas First Eastern office, Hong Kong, developing marina projects from feasibility/concept stage to commissioning stage. She began her tenure as a Technical Director in October 2013 and is focused on the direction of the current portfolio of marinas in South East Asia and China region. Her professional experience extends to Asia, Middle East, Africa, UK and Southern Europe. After graduating with a Master’s degree in Civil Engineering in London, she spent eight years working for Atkins, specializing in coastal protection, maritime structures and port planning and management. She moved to Hong Kong six years ago as an engineering consultant to another global engineering, management and development consultancy, Mott MacDonald. Having completed more than ten years of post-graduate experience service in the maritime engineering sector, in design, project management, and construction supervisor roles, she proceeded to work in a fast, upscale environment, assuring client satisfaction on luxury marinas. Passionate about the water, sailing and creating a lifestyle, the move to Camper and Nicholsons First Eastern was a natural fit. For the past six years, she has been overseeing the planning, design, and construction of several marina developments in the Asia Pacific region and has been sharing her enthusiasm and experience on the 'living on the sea' way of life in this fascinating part of the world! Konstantina is from Athens, Greece. Having spent thirteen years in London, United Kingdom, she now lives in Hong Kong with her son. Mr Lim Kok Kim has 34 years of international experience in the design of major civil and structural engineering projects. He started his early years of engineering practice in Australia where he was involved in the design of numerous 50-storey buildings in Melbourne. Mr Lim migrated to Singapore in 1991 when he joined TY Lin International. He spent 16 years with the firm and was the Head of Building Department for 6 years before leaving the company to set up his own practice. Mr Lim is a registered professional engineer in Singapore and Australia. 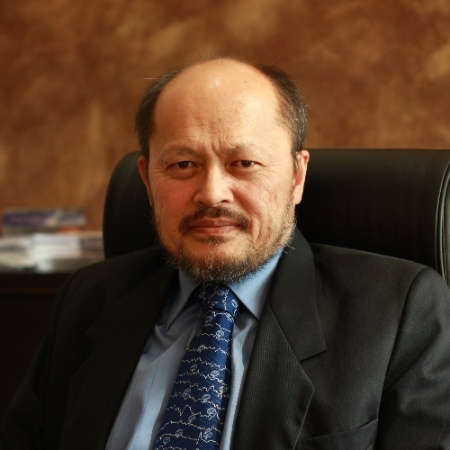 As a consultant, Mr Lim has a wide and varied range of exposure in the field of civil engineering. He has directed and designed many major building and infrastructure projects both locally and in the region, including the Middle East. On top of designing many tall buildings, Mr Lim has also designed airports, hotels, shopping malls, bridges, MRT and waterfront infrastructure like seawalls and reclamation. Mr Lim’s most notable achievements to date are his roles as QP or PE for projects such as the Keppel Bay Development and The Maybank Tower of which he had won awards; Changi Airport Terminal 3 and Fusionopolis @ One-North of which he served as contractors alternative design PE; the chief designer for the iconic BNI Wisma 46 which was the tallest office tower in Jakarta at 263m up to 2016. Mark Chambers is an urbanist, an architect, and the Director of Sustainability for Mayor Bill de Blasio and the City of New York. 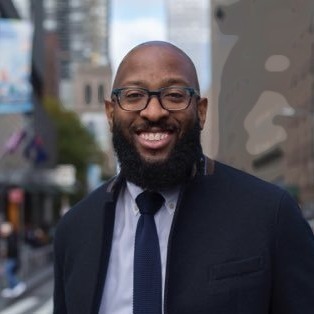 In this role, he leads the development of policies and programs that enhance the near-term and long-term sustainability of New York City, as outlined in One New York: The Plan for a Strong and Just City. Mark serves on the Board of Directors of the NYC Energy Efficiency Corporation (NYCEEC) and the Building Energy Exchange. Most recently, Mark served as the Director of Sustainability and Energy for the Government of the District of Columbia where he led an interdisciplinary team to creatively manage energy supply and demand, as well as water and waste resource conservation efforts across Washington, D.C.’s municipal portfolio of buildings and properties. He holds a graduate degree in Public Policy and Management and an undergraduate degree in Architecture, both from Carnegie Mellon University in Pittsburgh. Patrick Augustin is currently the Director of Perunding FAISAL, ABRAHAM dan AUGUSTIN sdn. Bhd., a Kuala Lumpur based company in the field of civil and structural engineering. 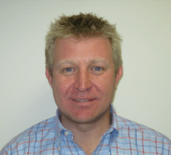 Patrick is a leading expert in design bridges and high rise structures. QUALIFICATIONS & AFFILIATIONS B.Sc. (Upper 2nd Class Honours Engineering Lancaster University (1977) DIC, M.Sc. (Concrete Structures) Imperial College London University (1981) Fellow of the Institution of Engineer, Malaysia (FIEM) Registered Professional Engineer (P. Eng.) Fellow of the Institution of Civil Engineers (FICE) Chartered Engineer, U.K. (C.Eng.) Fellow of Institution of Structural Engineers (FIStruct.E) Member Association of Consulting Engineers Malaysia (MACEM) Council Member, ACEM 2002-2003, 2003-2004, 2004-2005 Council Member, IEM 2005-2006, 2006-2007, 2007-2008, 2009-2010 PAPERS PUBLISHED 1. Computer Application in the Design of a Voided Slab Deck” – Regional Conference on Engineering (1988) 2. The Design of Prestressed Bridge Beams in Accordance with BS 5400 for Steel, Concrete and Composite Bridges : Part 2 : 1978 : (Specification for Loads) (and as Amended by Department of Transport (DTp), Highways and Traffic, Departmental Standard BD 37/88, Loads for Highways Bridges) Part 4 : 1984 (Code of Practice) for Design of Concrete Bridges). Published on July 1991 – Bulletin of the Institution of Engineers Malaysia 3. Construction of a New Railway Embankment and Trackworks on Soft Ground Adjacent to an Existing Mainline Track at Pondok Tanjung (AU41) for Keretapi Tanah Melayu Berhad (KTMB) - 2nd International Conference on Advance in Soft Soil Engineering and Technologies (2nd - 4th July 2003) Putrajaya, Malaysia 4. Bow String Girders or Tied Arches, A Place in Malaysian Bridge Construction – Suara Perunding, Journal of the Association of Consulting Engineers Malaysia 5. “The Design and Construction of New Railway Bridge BR123 and Realignment of Tracks Between KM75.750 and Pondok Tanjung Station” - Railtech 2003 International Conference and Exhibition 6. Selection Criterion for Elastomeric Rubber Bearings for Bridges – A Technical Note IEM Bulletin July 2005 7. Lectured for 1 Day course, Introduction to Bridge Design 8. Construction and design of a 50m single span uhp ductile concrete composite road bridge The Structural Engineer 89 (15/16) 2 August 2011 page 24-31 awarded the Husband Prize: The Husband Prize is named after Professor J Husband, an Institution President from 1937 to 1938. The Husband Prize is awarded for papers of merit related to bridges, published in The Structural Engineer during the session. Yen Lei Voo, BE, PhD Dura Technology Sdn Bhd. Patrick C. Augustin, FIEM, PEng, FICE, CEng, FIStructE. Perunding FAISAL, ABRAHAM dan AUGUSTIN Sdn Bhd Consultants to Dura Technology Sdn Bhd. Thomas A. J. Thamboe, ANS, PMC, PJK, MIEM Endeavour Consult Sdn Bhd for Public Works Department, Negeri Sembilan, Malaysia. 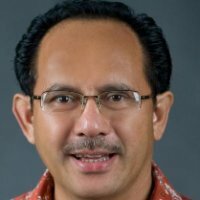 Amin Rasidi joins PT Kura Kura Bali as the Senior Vice President of Planning and Design in 2018. From 2013 to 2017, Amin was the head of the master planning team at Aldar Properties, which merged with Sorouh Real Estate to become Abu Dhabi’s biggest property developer. While at Sorouh, Amin was its Director of Planning & (Acting Director of) Design. 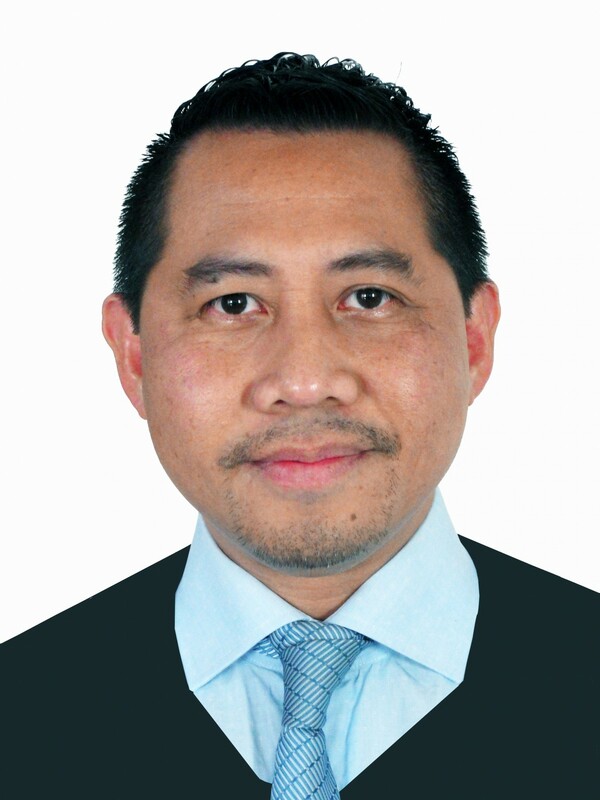 Amin has been active in the real estate industry for 25 years, developing projects in the UAE, Singapore, Malaysia and Brunei, many of which are waterfront and tourism developments. Prior to joining Sorouh, Amin worked with three related companies – Sentosa Development Corp, Sentosa Cove Pte Ltd and Sentosa Leisure Group – in developing Singapore’s Sentosa Island. 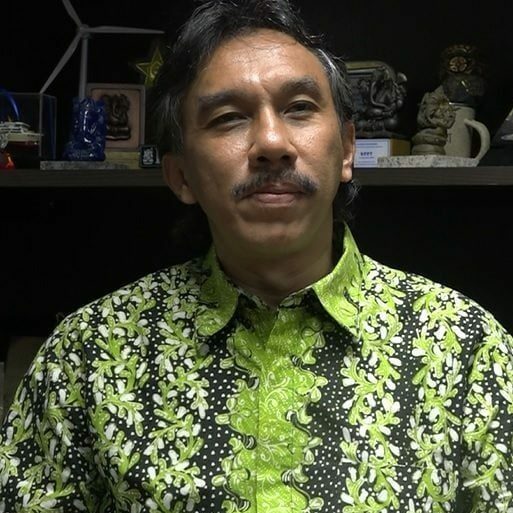 As part of his roles, Amin authored the Sentosa Cove Development Guidelines and was a key player in the development’s early land sale launches. In between working with Sentosa and Sorouh, Amin worked for Teo A. Khing Design Consultants in Singapore and Dubai. Amin was the consultant firm’s team leader in the master planning of Palm Jebel Ali (Palm Island 2) and Palm Deira (Palm Island 3) in Dubai. In Aldar, Amin was instrumental in a number of Aldar master developments – especially the legacy projects of Shams (on Abu Dhabi’s Reem Island) and Yas Island – where a Detailed Master Plan and a Framework Plan respectively were approved by the authority for the first time in the ten-year history of these projects. Amin is the author of “Benchmark Places: Dubai – Singapore” (ISBN 978-9948-17-366-3), a planning, design and travel book published in 2014. The Island of Happiness Coastal Design Competition is offering up to $180,000 for prizes and prototype development. The money is just the beginning though. Winners of the ideation phase who advance into prototyping will travel to the Island of Happiness to collaborate with Kura Kura Bali and other firms to develop and test their prototype (all expenses paid). Recognition at the United Nations global initiative Sustainable Development Solutions Network. Recognition in the Shanghai Gallery of Art at Three on the Bund. Potential happiness job in the Island of Happiness, based on availability. Scholarship (subject to meeting admission criteria) to enroll in UID’s flagship leadership development course conducted in collaboration with MIT Sloan School of Management, or other courses at our partners Tsinghua University, Bandung Institute of Technology, Singapore University of Technology and Design, Udayana University, Paramadina University and University of Indonesia. Potential happiness job in the Island of Happiness, based on availability. The opportunity to apply your solution to seawalls in different parts of the Indonesian archipelago. 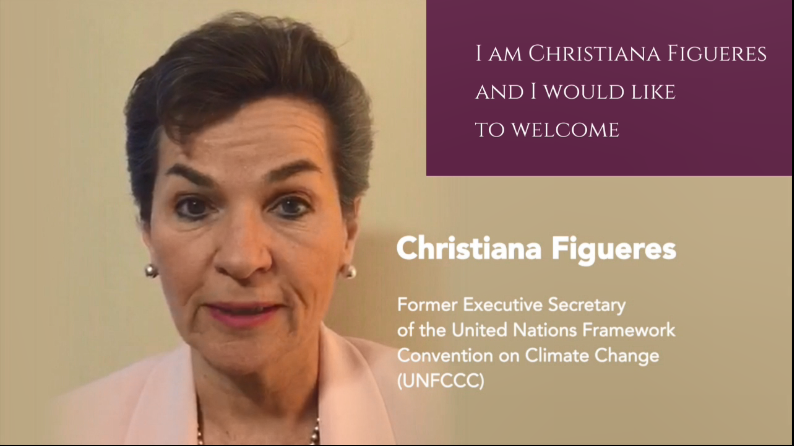 There are a number of remarkable, accomplished individuals who have recognized the need for breakthroughs in sustainable development and endorsed the UN Sustainable Development Goals and we welcome you to join this movement. Included in that group is Unilever CEO Paul Polman, legendary American record producer, Quincy Jones, and many more. This is an opportunity to be part of a global community that provides a unique chance to collaborate in realizing Kura Kura Bali Island of Happiness’ development.